iOS 8.1, codenamed OkemoTaos, is the first full point release to Apple 2014 mobile operating system. It's being released on October 20, 2014 and, in addition to bug fixes and performance enhancements, will bring support for Apple Pay in the U.S., Continuity features like call and SMS relay, a return of the Camera Roll, iCloud Photo Library, and more! 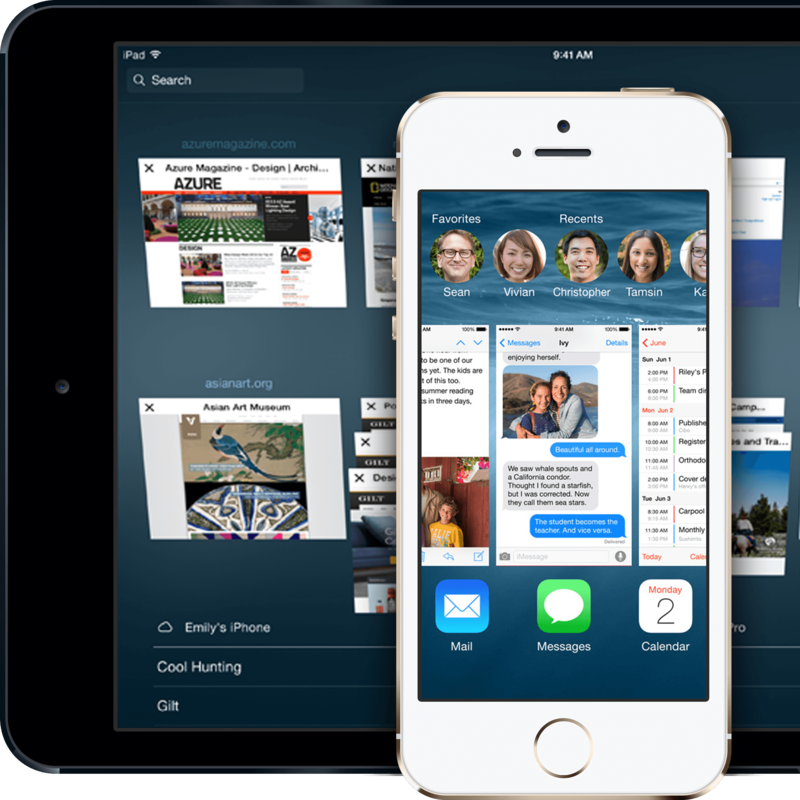 iOS 8.1 ships as standard on the iPad Air 2 and iPad mini 3, and is a free update for all devices that support iOS 8, including the iPhone 6 and iPhone 6 Plus and previous models. Continuity features with the Mac require OS X Yosemite. Yang to iOS 7’s yin, iOS 8 is a functional rejuvenation that counterbalances last year's visual refresh. iOS 8 is being called the most important upgrade since the App Store launched in 2008. So, is it? NFC, barcode scan, on online purchases! Did you know you can use Messages for macOS to receive your iPhone's SMS text messages, in addition to iMessage? Here's how you do it. Apple has just released iOS 8.4.1, which includes fixes for, among other things, Apple Music. It also includes some improvements to accessibility, primarily where it comes to Apple's screen-reader, VoiceOver. Apple has released iOS 8.4.1 to the public, fixing a number of issues that cropped up with Apple Music and iCloud Music Library. Apple has released a new beta of iOS 8.4.1 to developers. Interested developers can grab it from the iOS Developer Center right now. Apple has released a beta version of iOS 8.4.1 to developers. It can be downloaded from Apple's iOS Developer Resource Center right now. Apple's latest update to mobile devices, iOS 8.4, has only been out for a day, but users are reporting that the update has seemingly eliminated one big feature: Home Sharing for audio content on iOS. Apple has released a major iBooks update as part of iOS 8.4, bringing support for audiobooks to the iPhone and iPad, as well as iBooks Author content support to the iPhone. Apple has released iOS 8.4 to the public. The update brings with it a brand new Music app for all users, as well as Apple Music, Apple's new streaming service. Ian Rogers, former CEO of Beats and current Senior Director of Apple Music, has written a blog post giving a precise go-live time for both iOS 8.4 and Beats 1: 8am PT and 9am PT respectively. Here's all the info! The fourth developer beta version of iOS 8.4 has been released, along with the third beta for AppleSeed testers. iOS 8 has an 83% adoption rate currently, and while that number seems great, it still lags behind the iOS 7 adoption rate. Apple has released a new beta of iOS 8.4. This is the third beta version for developers, and the second for AppleSeed testers.